In the first few hours, "Generation Zero" impresses with its terrific game world, harmonious atmosphere and fresh opponent design. The longer I play, the more the co-op shooter of Avalanche Studios gets in the way. About a small project that would have been better kept a little smaller. "Terminator", "Stranger Things", "Horizon Zero Dawn" and Sweden holiday in one: on paper is "Generation Zero", which the "Just Cause" creators Avalanche realized with a small core team as a heart project, the dream of every sci-fi-affine pop culture fan. Already in the first trailer, the co-op shooter hit the "sweet spot" between fantastic design, curious mystery and a pinch of familiarity with Open-World. 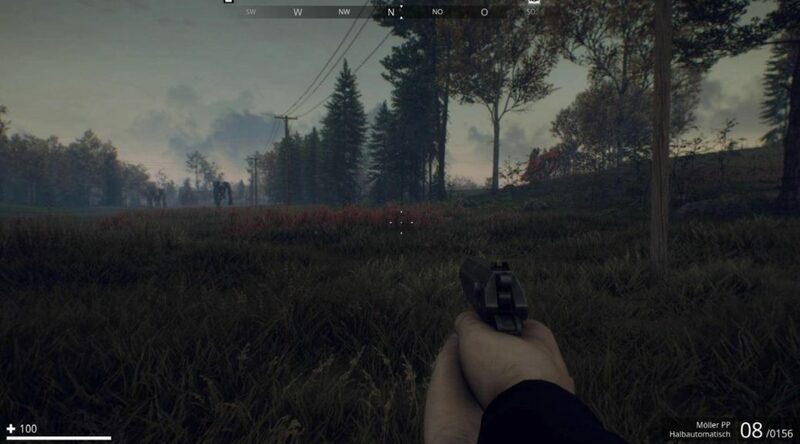 Since the announcement, I have followed the gameplay vision of a Cold War-born robot invasion of rural Sweden in the 1980s with great interest. In Beta, I was thrilled with the great game world and its refreshingly realistic, metal creatures that look more like industrial machines than high-tech. Now the finished game is here – and I am a bit disillusioned. Still Life with Giant Robo: In some moments "Generation Zero" looks almost like a painting. Being exposed to the game world in the dim, beautifully landscaped forests, arming yourself makeshift and dissecting the first robots still feels great. Scour homes and barns for useful gadgets and decode the stories indirectly told in answering machine messages and left notes as well. But: This tension wears off quickly. And that has a lot to do with the size of the game. 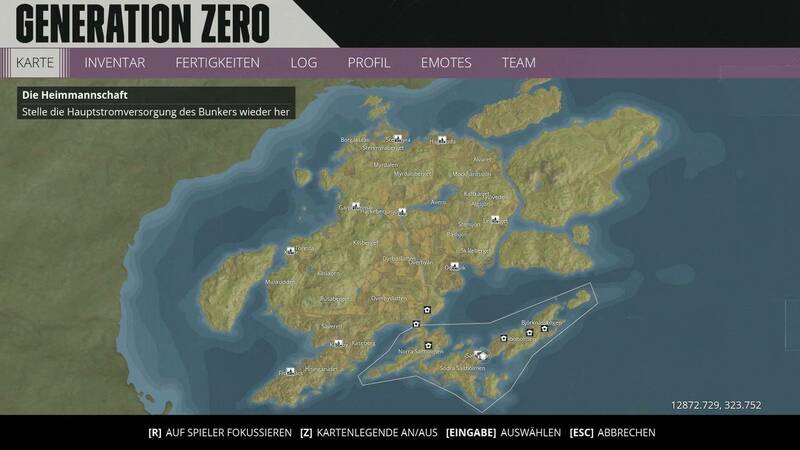 The complete game world of "Generation Zero". In the marked area in the south: the already quite extensive tutorial island. "Generation Zero" is a game with a comparatively small budget. In the beta, in which only a limited part of the game world was accessible, but that was not so much. Walking through front gardens, exploring forest clearings, hiking on country roads, exploring castle ruins and bunkers, always with the imminence of danger from roaming robots on the back of your neck – it just had something and immediately caught me. In villages, the first gaps in the immersion then turned up: Each house was the same from the inside and not very different from the outside. But hey: It was a beta! In the full version, unfortunately, little has changed. Inside the houses, the trip to Sweden regularly visits the Ikea: basic layout and furnishings are virtually the same everywhere, the furniture is reminiscent of low-detail standard assets and much too looted there is often not. Why every house is accessible at all, when rarely something of importance waits in it remains a mystery. Long, low-event phases of the tiring Rumrennens by copied interior decor are the result. The actually so stunning landscape loses its appeal when suddenly not only a limited tutorial island, but a fairly large game world is accessible: Excited, I entered the areas that I did not know from the beta, then to determine that they only other huge forest and meadow landscapes including some settlements and farms offer – so more of the same. Sure, "Generation Zero" is still pretty and the feeling of hiding from the side of the road in front of gigantic robots stomping menacingly through the foggy landscape has never shown me so much credibility. The fully developed weather system in the full version is fantastic and gives the game world an almost tangible realistic atmosphere. At least so far in a few games I have ever had the intuitive need to stay in the virtual house at night and pattering rain, although running around in the wet does not bring any direct disadvantages. All in all, this can not hide the fact that in "Generation Zero" everything is repeated too fast and far too often. How much realism does a game world stand for? In a sense, the limits of game design are realistically demanding. I want to believe that in rural Sweden in the Eighties, there was not much more variation in landscape and architecture than woods, meadows and colorful wooden houses. 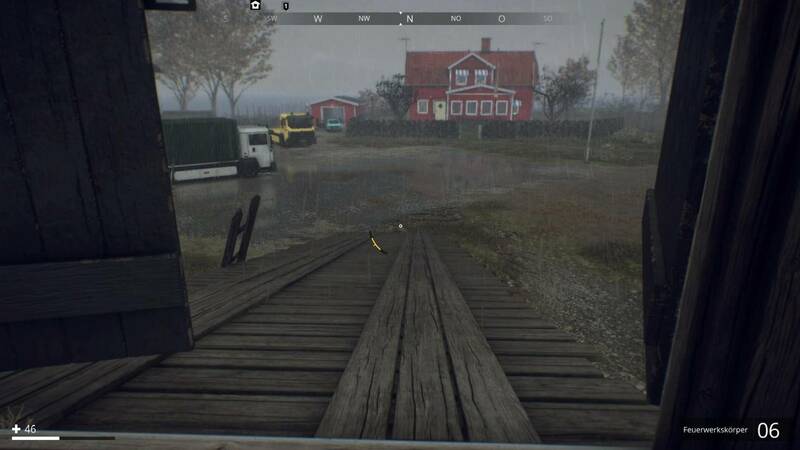 The Swedish developers have repeatedly stated on record that they have modeled the village Tristesse, but also their idyll after their own homeland. Light, shadow, textures – all top. 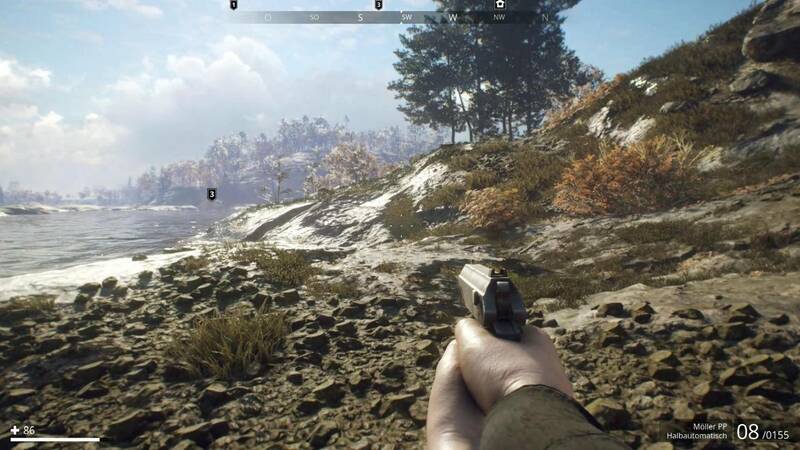 Only: In a video game you have enough of it fast enough – especially if the gameplay except sneaking, looting and fighting enemies does not give much. And: The greater the demand for realism (which, for example, shows up in the absence of life beams in the opponents), the more fall inconsistencies, such as lush ammunition storage in every other living room on. Ultimately, Generation Zero would have done well if the game world were a bit less expansive, but a bit more varied and stringent in design. Maybe then there would have been more time to work on things like the stubborn inventory system or the artificial intelligence of the robot opponents. At the moment, the machines are fire-threatening, but thanks to predictable paths and behaviors, they are also easy to dupe. Guerrilla tactics help against dog-like robots – especially because the critters are strunzdoof. The indirectly narrated story has its charm, but also relies too soon on familiar patterns á la "Get X machines to get Y" – too bad. 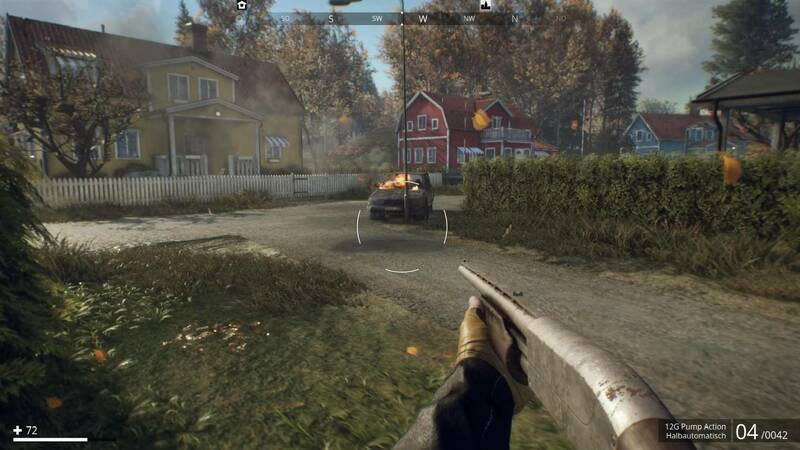 Even the co-op mode, which is supposed to be a figurehead of "Generation Zero", has its weaknesses: progress is recorded only for the host player. Despite all these shortcomings, I find it hard not to like "Generation Zero" at least a little bit. At selected moments, the dense atmosphere totally captivates, and the robot hunt in the eighties "clicks" in an inimitable way. The world is one of the most beautiful I've ever encountered in a video game. The whole game idea and the "small studio puts heart project on its feet" approach make the game immensely sympathetic. But that's just not enough for a good complete package. 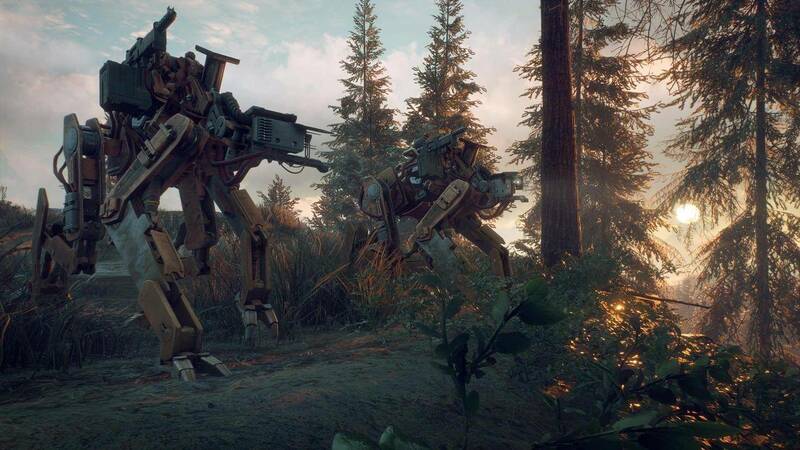 However, Avalanche has already promised to continue cultivating and supplying "Generation Zero". So I still have hope that the developers can fill their world with more life. Enough room for that would be enough.